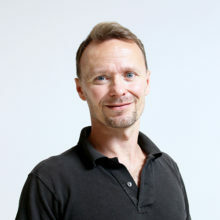 Morten Meyerhoff Nielsen is an Academic Fellow at the United Nations University Operating Unit on Policy-Driven Electronic Governance (UNU-EGOV) and a Researcher at the Tallinn University of Technology, Ragnar Nurkse School of Innovation and Governance, Estonia. He is also a former head of section at the Danish Agency for Digitisation, where he was responsible for the national citizen portal (www.borger.dk), including project development and management, daily management and coordination of external stakeholders, redevelopment of borger.dk graphical identity and information architecture, establishing measurable minimum criteria for user-friendliness in Danish eServices, and international knowledge transfer into the unit. His areas of expertise include project management and coordination, presentation skills, evaluation of ICT projects and online services, analysis and comparative e-Government, performance management, key performance indicators and tools, citizen portal functionality and structure/architecture, user-friendly and personalized service provision online, e-Voting, e-Inclusion / e-Participation and participatory design, Web2.0 / social media use in public administrations, ICT and interoperability, knowledge transfer and exchange, good practice identification and analysis, development and implementation of tender proposals, seminar and conference organization, technical assistance and knowledge transfer to SME’s in developing countries, democratization, and international trade and foreign direct investments issues. He holds a Master in Arts in International Economic Management from the University of Birmingham (UK, 2000) and a BA and BA Honors in Political Science and Economics from the University of KwaZulu-Natal (South Africa, 1997 and 1998).